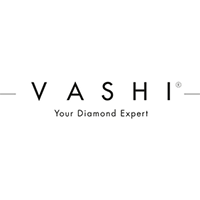 Vashi is an online diamond retailer with a variety of categories and products. You can use this website to find and purchase a variety of different engagement rings. Plain wedding rings, diamond wedding rings, and bespoke wedding rings are also available for purchase at this site. You can also purchase a wide array of rings, earrings, necklaces, pendants, and other items. In addition to all of this, you can use Vashi to build your own engagement ring, pendant, or ring. The website lays out the steps and options required to do this, ensuring you can build an engagement ring or other item that you want. You can also book viewings. For most up to date offers check out Vashi on Facebook and Twitter or contact Vashi Support for any questions.